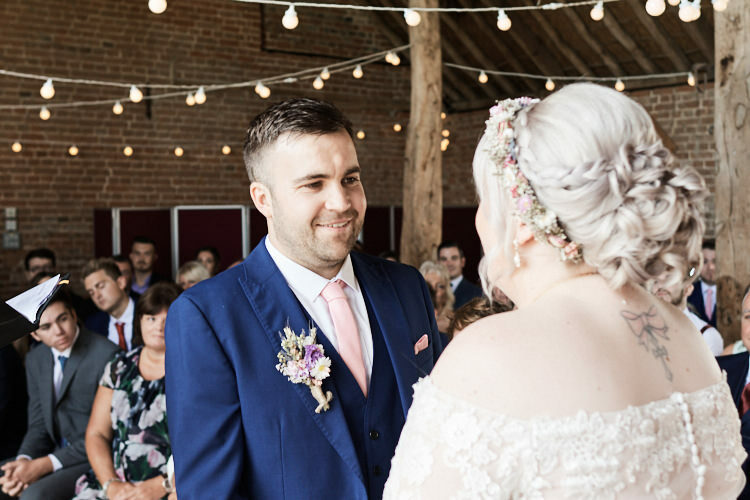 WWW readers Tom and Hannah tied the knot at Wood Farm Barn in Benacre, Suffolk last year on 9th September 2017. 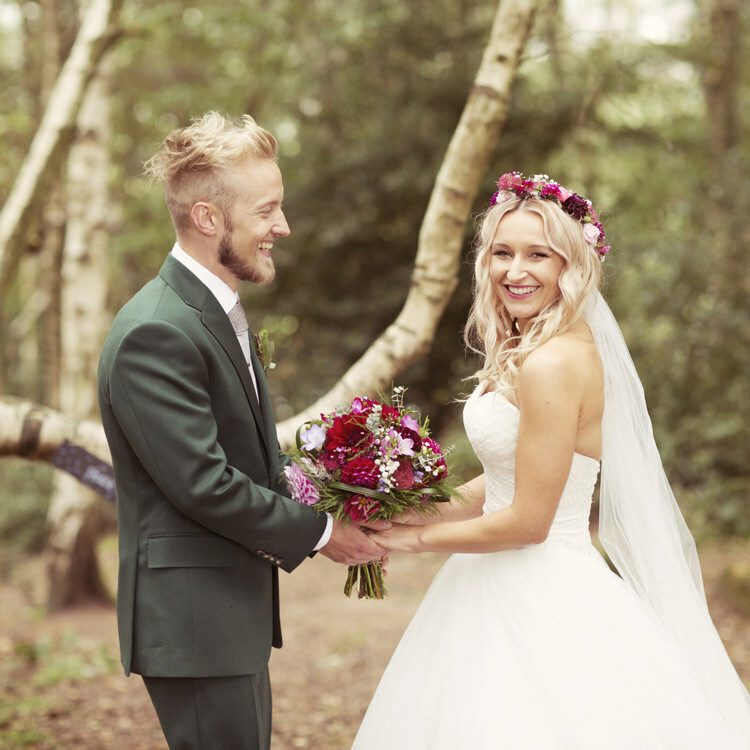 Their nuptials were beautiful, quirky, laid back and above all fun! 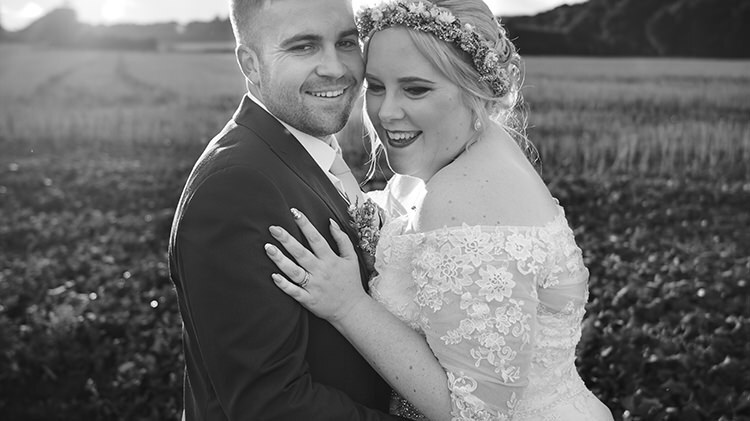 The wonderful images of our pair’s day come courtesy of Nikkala at Faye Amare Photography, thank you ever so much for sharing with us Nikkala. 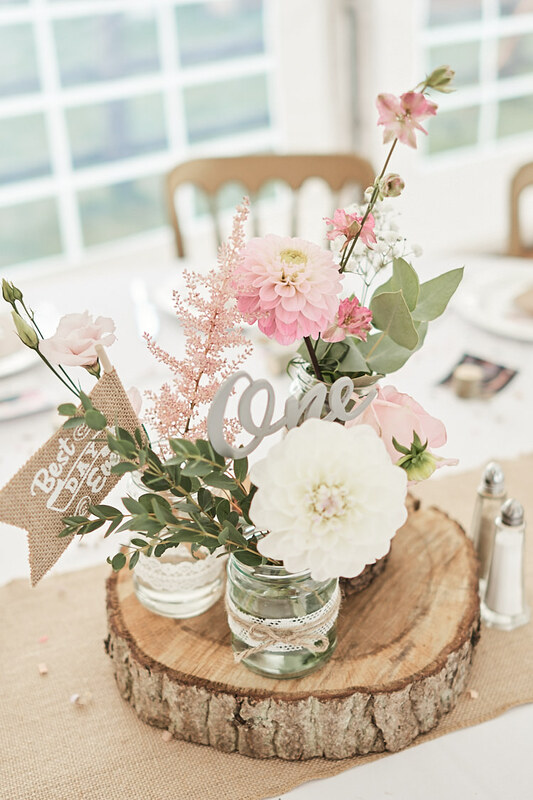 As well as a rustic feel with twine, hessian and wood slices, there is a beautiful blush pink colour palette throughout all the décor. 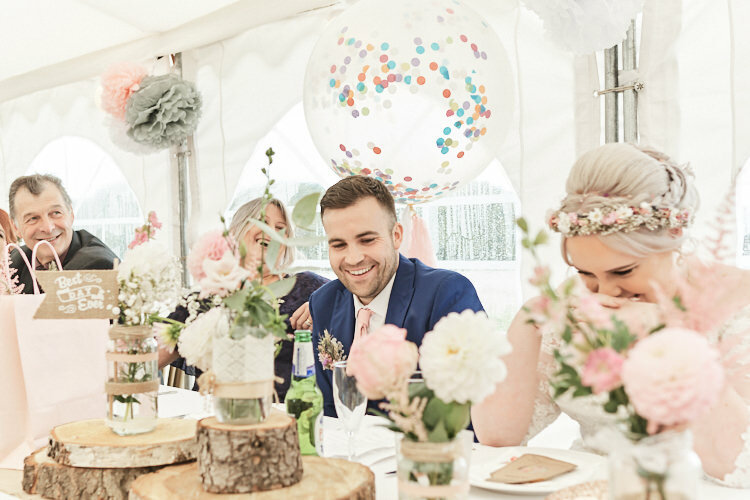 Gorgeous blooms adorn the table centres and spill out of milk churns outside and I think you’re really going to appreciate the tasselled, confetti filled balloons around the top table. 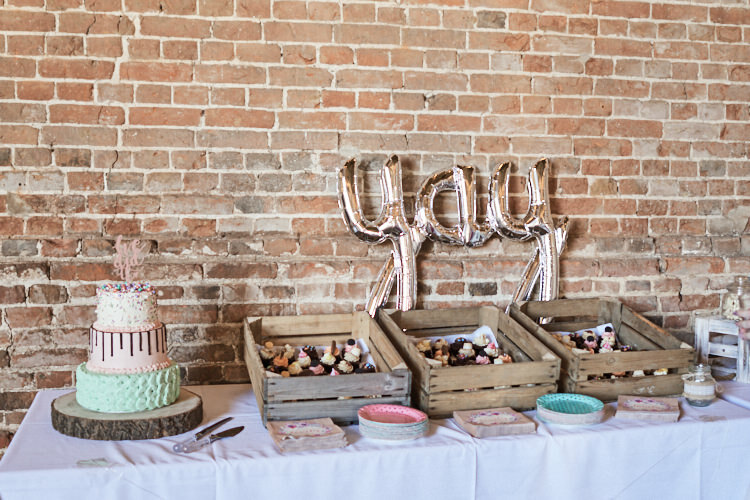 Hannah has some wise words for you couples who are considering a bit of DIY and bringing in your own caterers to make the day your own. The proposal was as laid back as we are as a couple. It was Christmas day 2014 in our first home we lived in together. Tom gave me a card which said ‘Happy Christmas to my fiancée’ and it read inside.. ‘Well what are you saying’ … Tom then revealed an engagement ring! It was perfect, just the two of us. Christmas day and Boxing day were just one big celebration with our friends and family it was the best. The vision was always to have a really laid back day with plenty of fun elements. 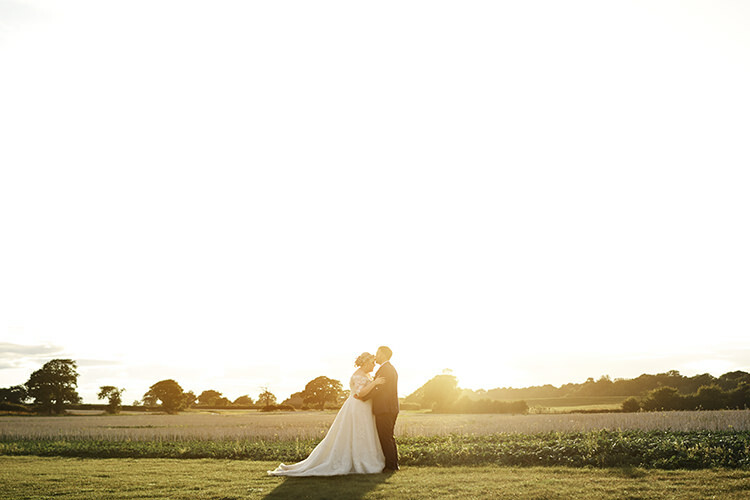 It wasn’t until we found the venue until we really could see our vision come alive. We didn’t really start planning until January 2016 after we bought our house. 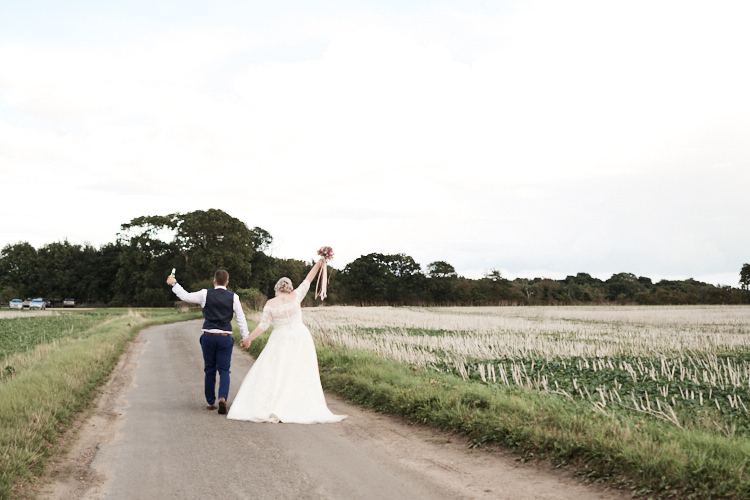 We started looking at venues in Norfolk and Suffolk and booked the ‘one’. 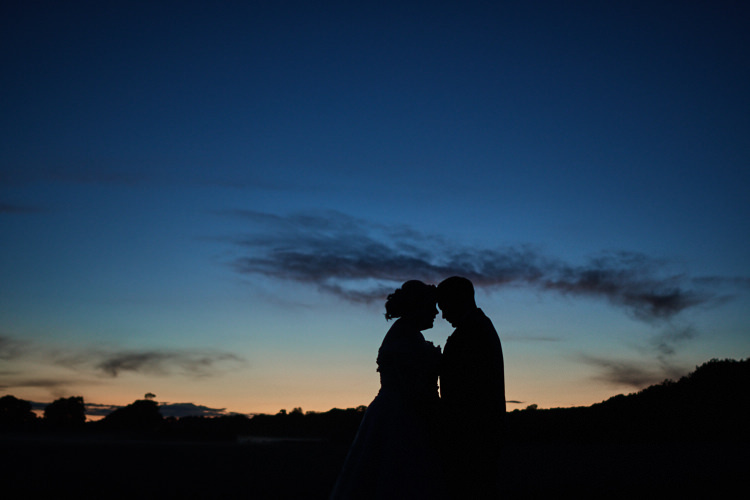 After that we looked at the photographer, cake etc to secure dates. A lot of our planning was researched on Instagram and Pinterest. Originally we planned to keep it under £10,000 and any less would be a bonus but in the end it was nearer the £14,000 mark, Yikes! Sounds crazy for one day but we do not regret this as we had the perfect fun day that we wanted. 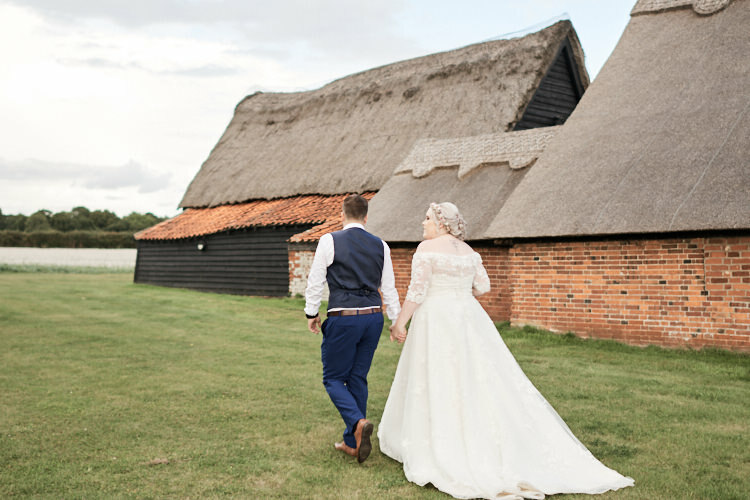 Our venue was Wood Farm Barn in Benacre, Suffolk. 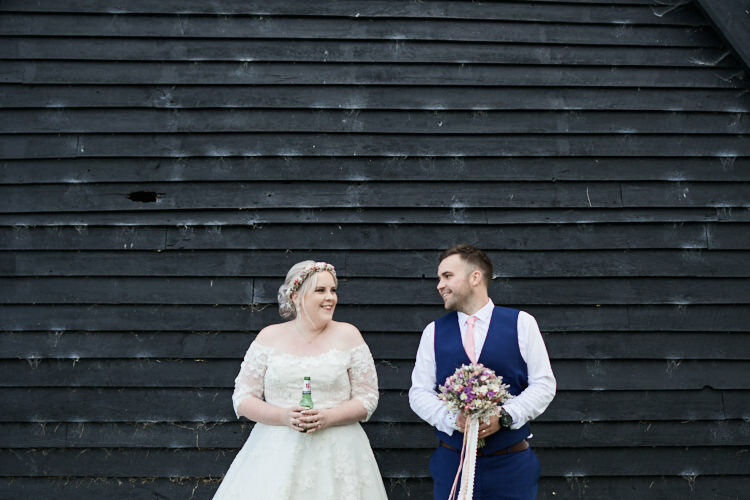 From the moment I saw the venue I knew it was the one, it was rustic and quirky and perfect to hold our ceremony and reception. 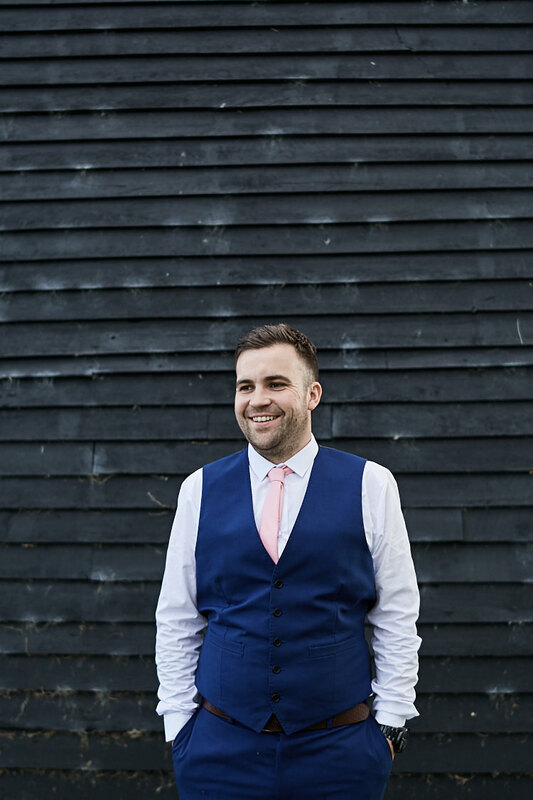 Tom had some reservations to begin with as it is a D.I.Y wedding venue and it wasn’t like a ‘typical’ wedding venue where we could have a wedding coordinator to help us plan or set menus. 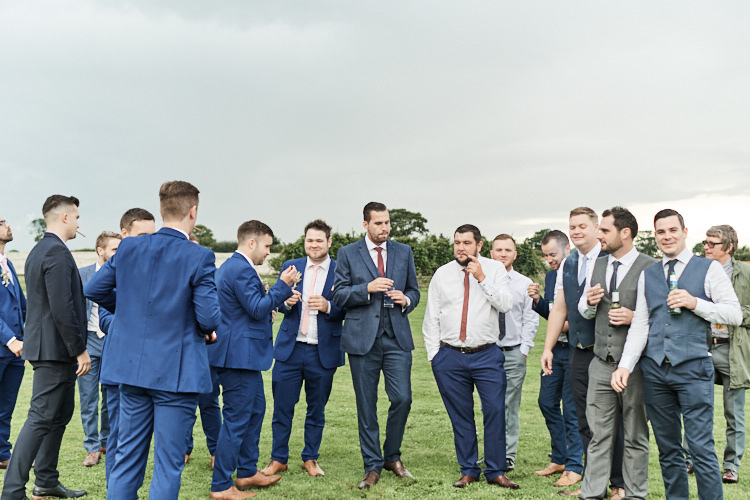 We both fell in love with the idea of being able to have a catering company come in and arrange a BBQ for us, hog roast and beer barrels full of beer! 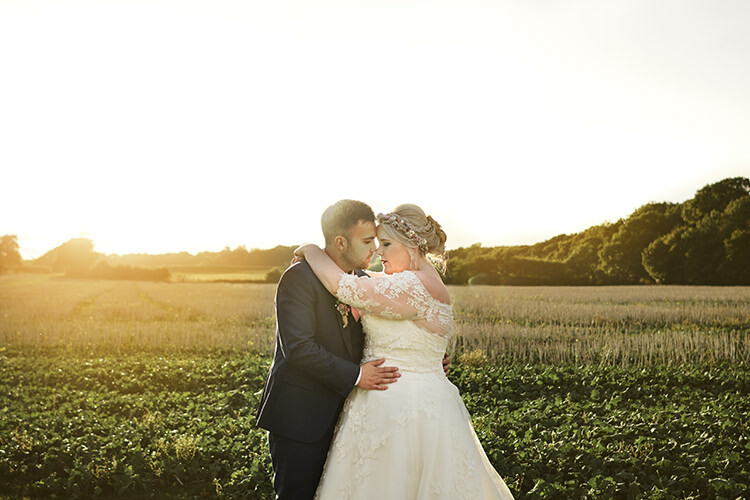 The location of the barn was about 45 minutes from our house but that wasn’t an issue for us, it had a perfect mix of stunning scenery and we loved how we could put our own stamp on it. I was really dubious about wedding dress shopping as I am not really a fan of long dresses so initially I thought I would go for a short tea style dress. 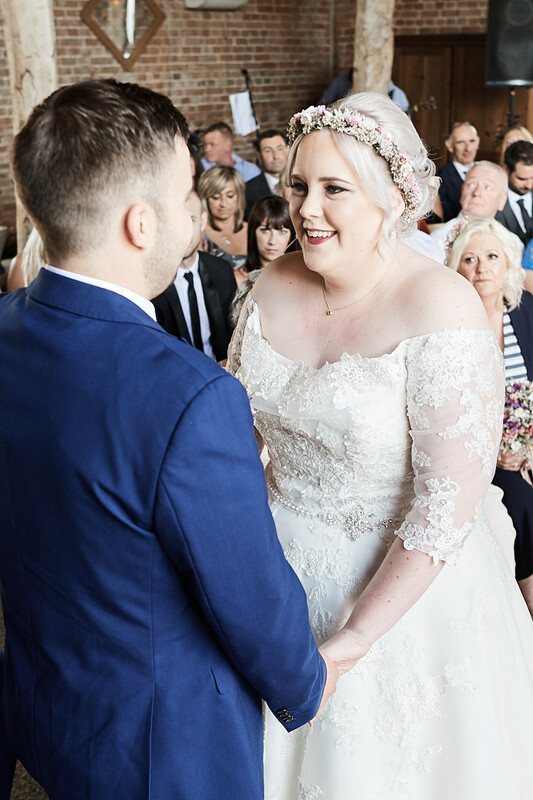 I found my dress at the first shop I went into and it really is true what people say ’when you find your dress you will just know’ my dress was the Callista London dress which came with an optionally lace bolero type jacket. I had tried on about 6 dresses before the lady in the shop asked me to try the ‘one’ on. Mum and I were in floods of tears and I knew that was the dress. 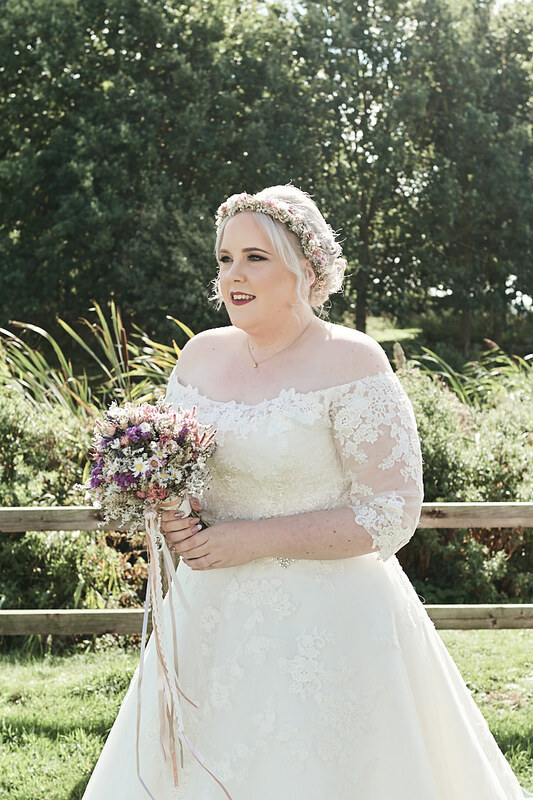 I left the shop feeling really deflated because the price of the dress and the accessories I wanted added up to £2,000… ouch! I started having a look around to see if I could find one in a sale and I stumbled across one which I purchased for £500 plus accessories which came to £400. I then bought some beautiful glittery heels from irregular choice which I couldn’t walk in and had to return and in the end I wore some really cute pink sparkly pumps from office which I got for £40, I am so glad I picked comfy footwear. 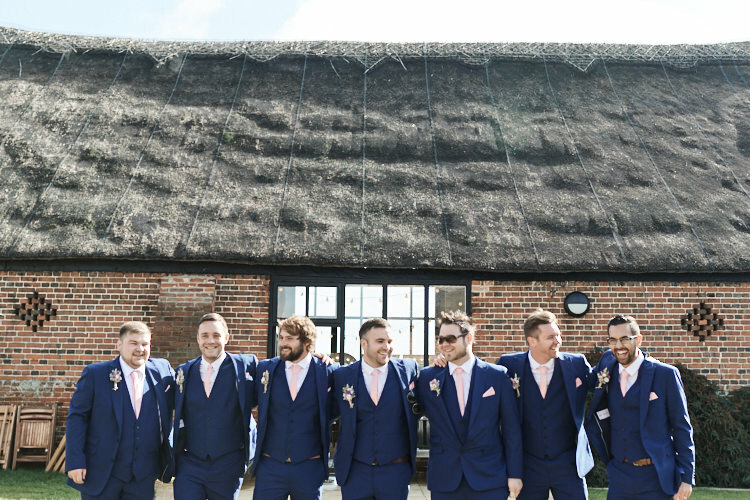 The groom wore a Navy Blue French Connection suit from Moss Brothers which we decided to hire. 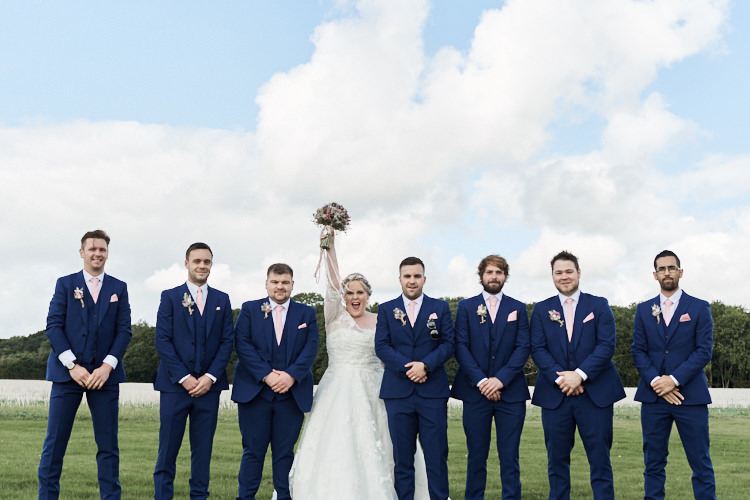 We had matching suits for our two best men and ushers. 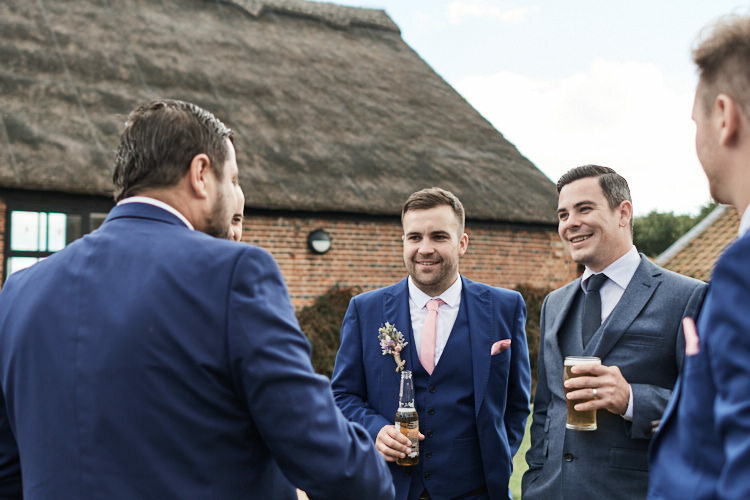 We then purchased light pink slim ties and matching pockets squares from ASOS and gave them as part of their thank you presents for being part of our day. 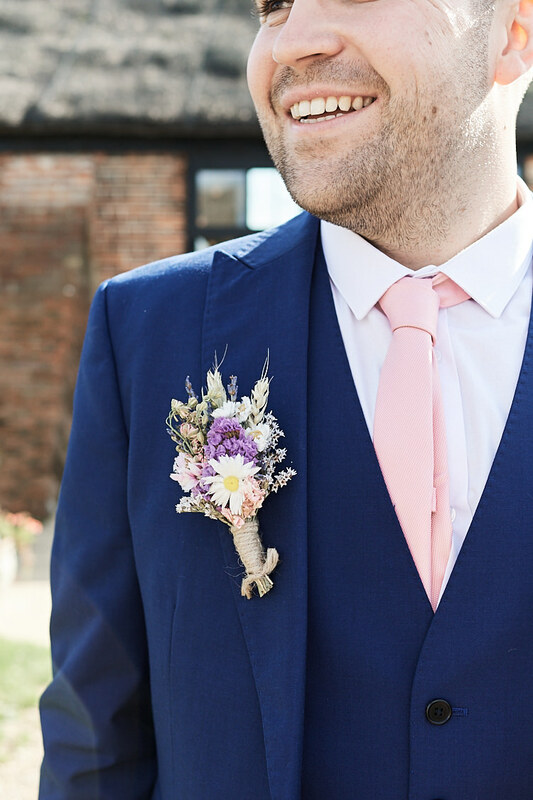 Tom wanted to wear brown shoes which matched up with the navy suit perfectly Tom’s suit was finished off with a lovely pink rustic buttonhole which had twine wrapped round the base with dried flowers to keep in with the rustic theme. 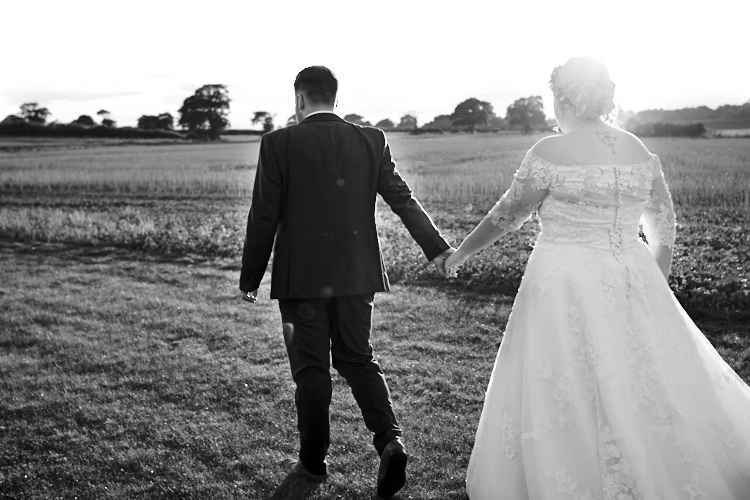 We were not really too fussed about lengthy readings, we had a meeting with our registrar prior to getting married and we wanted the ceremony to be as informal as possible being laid back. 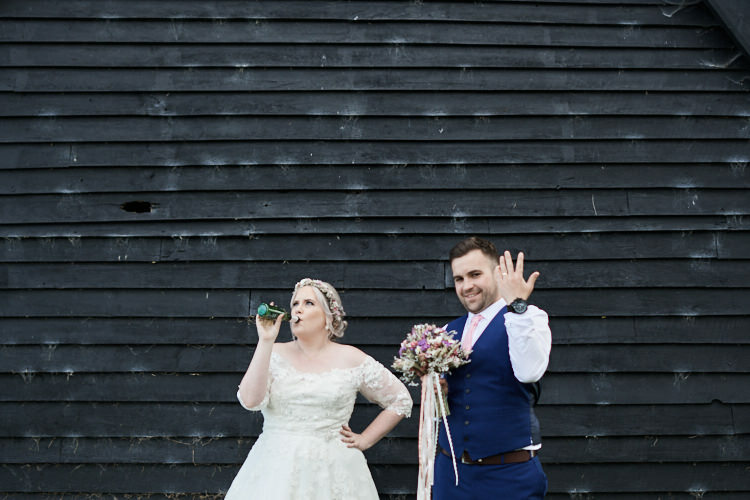 We had a local two piece acoustic band play as I walked down the barn aisle; they played one of our favourite songs, Wonderwall by Oasis. 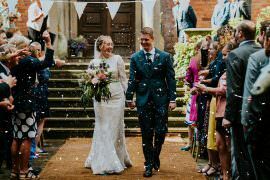 Whilst signing the register we had Jack Johnson – always better when we are together, One Direction – History (Tom’s choice ha ha) and then walking back down the aisle the Wannadies – you and me song. The acoustic band then played outside afterwards but they ended up jamming by the bar as the rain started to chuck it down. 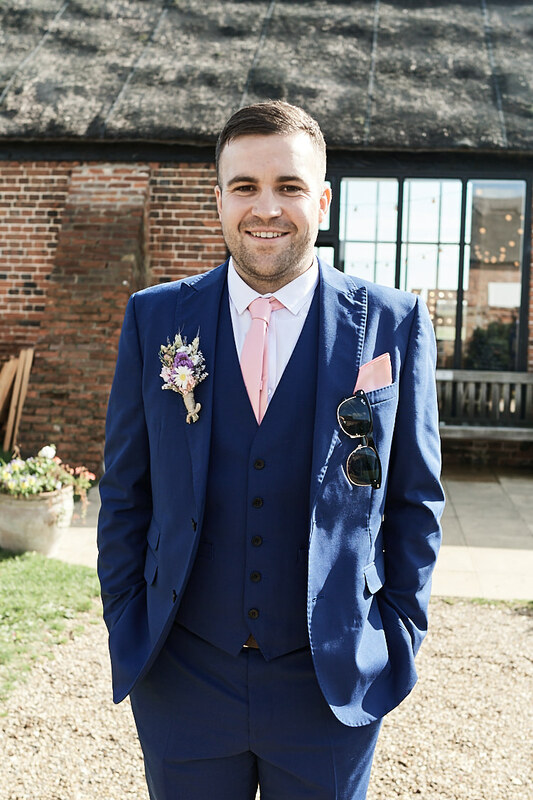 In the evening we had a local DJ Nick Moore do a set and we ask all out guests to pick what song they would like on their wedding invites so we had a good mix of music in the evening. 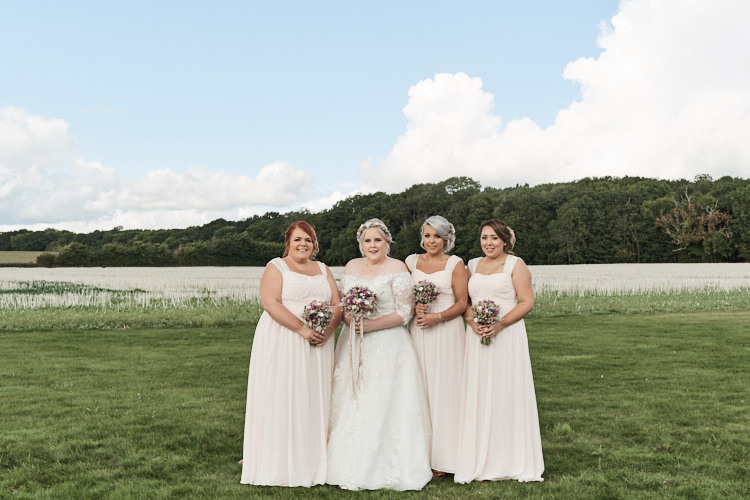 I had three beautiful bridesmaids; Becca, Carly and Lesley. They all wore a light dusky pink dress and rose gold accessories, their bags were made by Threaded By Pooja who designs amazing Glitter accessories which I found on Instagram. The bridesmaid dresses were very long and floaty and I didn’t mind what shoes the girls wanted to wear. I think Carly had two pairs on the day some wedges and then some sparkly pink trainers to boogie in. 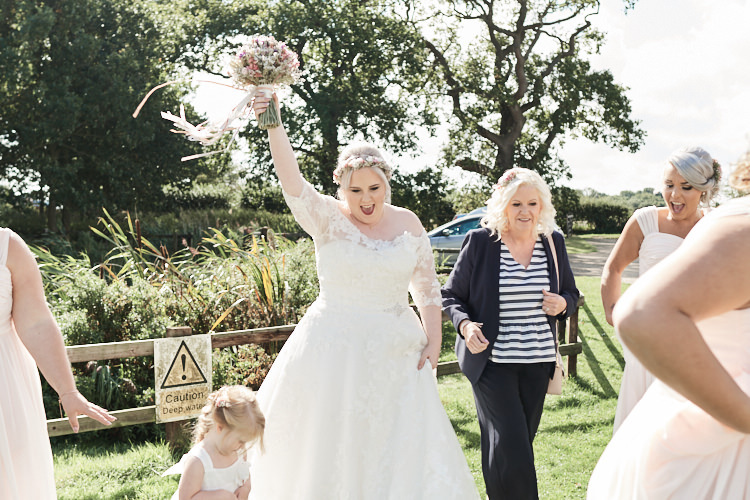 I also had Becca’s beautiful little girl Poppy as my flower girl, her dress was a classic white Tulle princess dress from Debenhams. We had a mix of dried flowers and real flowers. 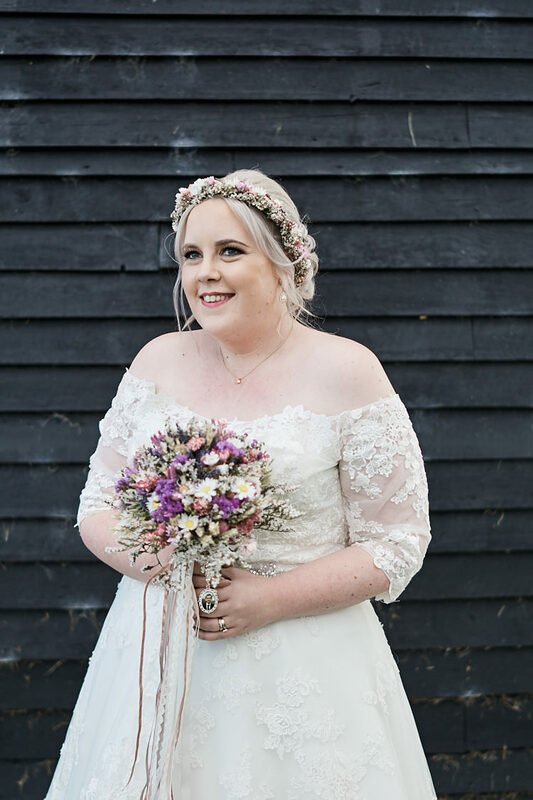 I wanted to keep the rustic theme in mind as much as possible so a friend at work suggested a lady called Carly at Florence and Flowers, they are based locally to us in Suffolk and as soon as I saw her amazing dried flower creations I knew they would be perfect for my bouquet, floral crown, buttonholes and Bridesmaid bouquets. Florence and Flowers also made these super cute little hair slides for Poppy our flower girl and a matching hair band for my mum to wear. 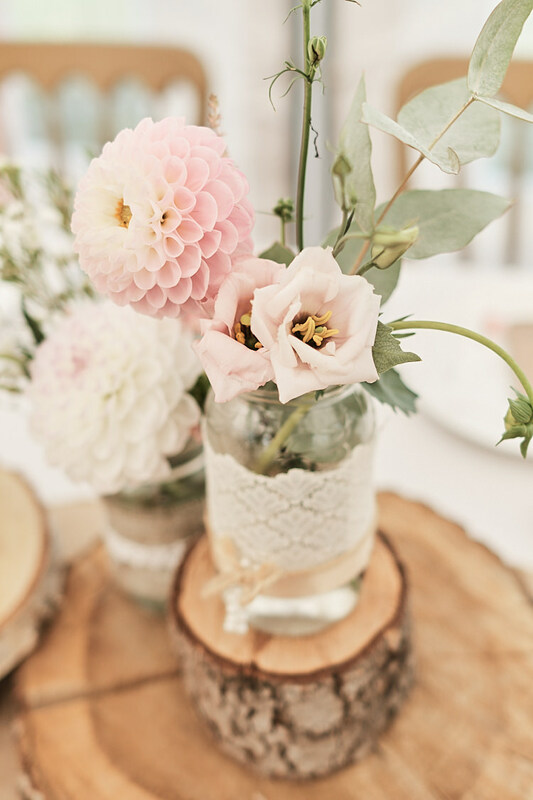 We then decided we would like real rustic flowers for our tables and for the milk churns we had each side of the barn windows. 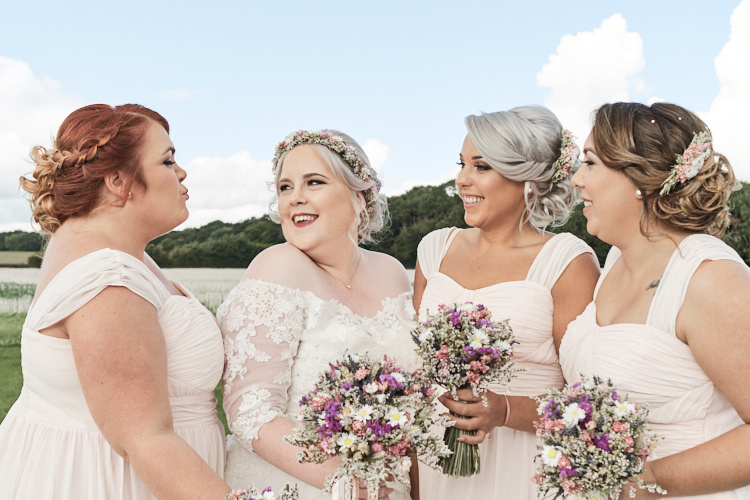 Our amazing flowers were created by a florist based in Norwich called Rambling Rose Florist. 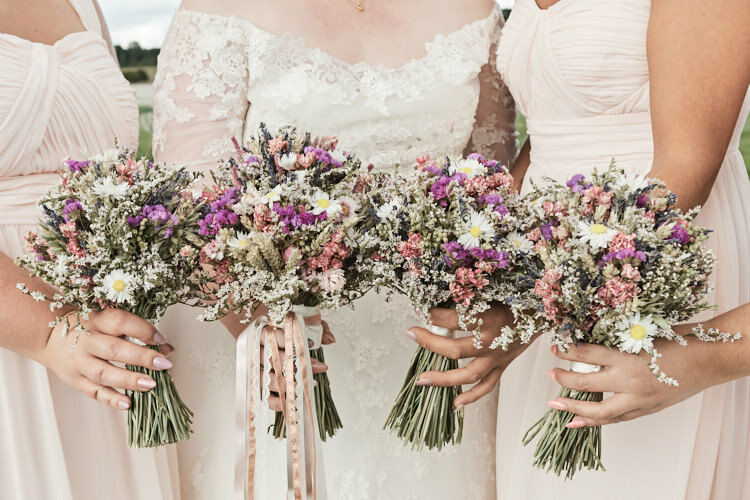 Lydia created amazing displays of pink roses, dusky pink delphinium, dahlias in pinks and creams, pink astilbe , eucalyptus, soft ruscus and grass. 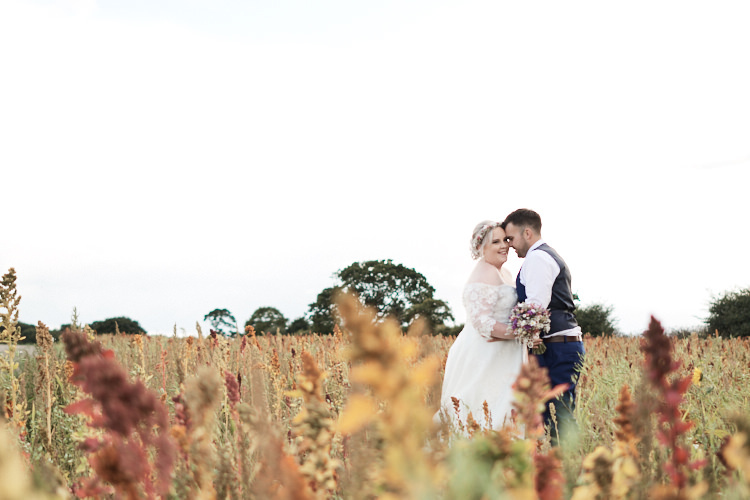 The flowers completely wowed us and we are so glad we went for both dried and real flowers. I have my beautiful bouquet sitting on my dressing table looking as amazing as the day I got it. The cake we had was made by Debbie at Dust with Cocoa who is based in Norfolk. 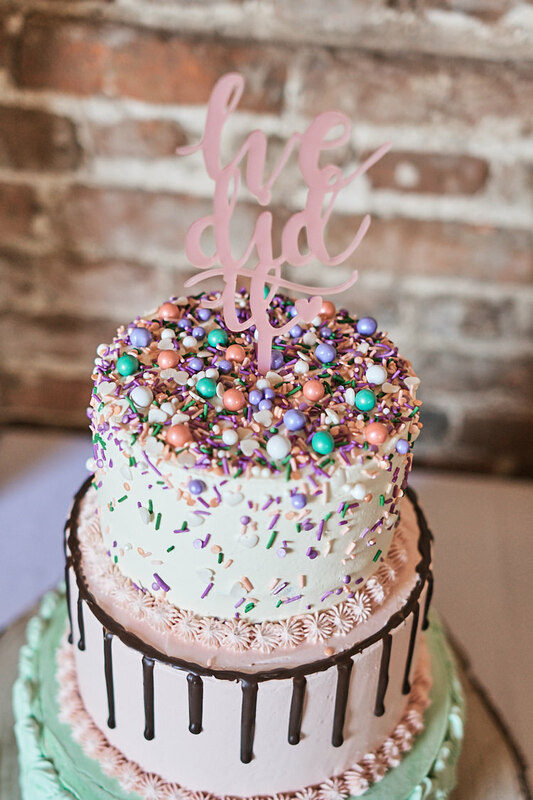 I originally saw an amazing sprinkles cake Debbie had done on Instagram and loved her quirky cakes. We decided we wanted a three tier cake, the top tier was Oreo sponge covered in sprinkles the second tier was a drippy salted caramel cake and the bottom was a Victoria sponge covered in a retro swirl pattern. 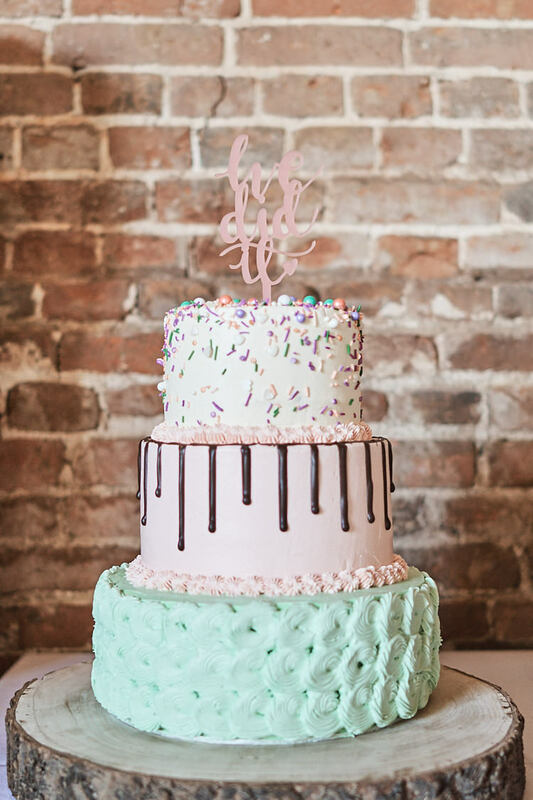 The cake surpassed our expectations in taste and style; the cakes colour really popped out and made an impact. We also asked Debbie to make some of her ‘Posh Brownies’ which went down an absolute storm. The brownie flavours we had were S’mores, Chocolate Orange, Eton Mess, Oreo, Smashed Mini eggs, salted caramel popcorn, lemon meringue and peanut butter jelly. Our photographer was the lovely Nikkala Ades of Faye Amare Photography. I originally first saw Nikkala’s work on Instagram in the search feed. 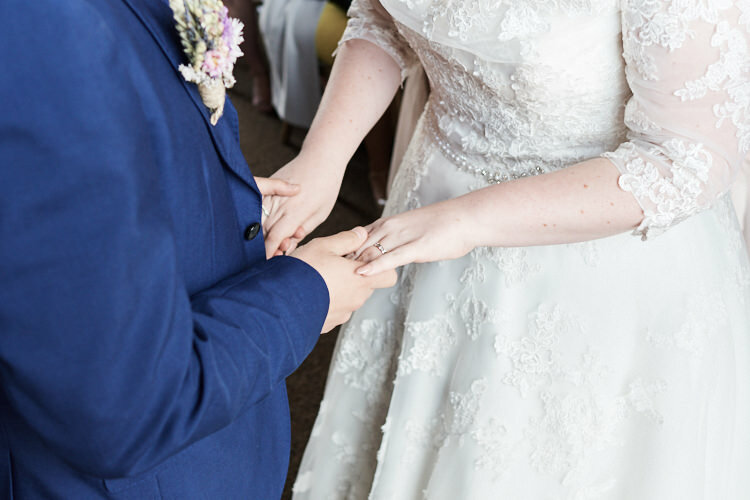 I quickly made contact and discovered she had availability on the date of our wedding. From the moment we met Nikkala to the day we wed Nikkala was on hand to discuss the fine details of the day and what we wanted to capture. 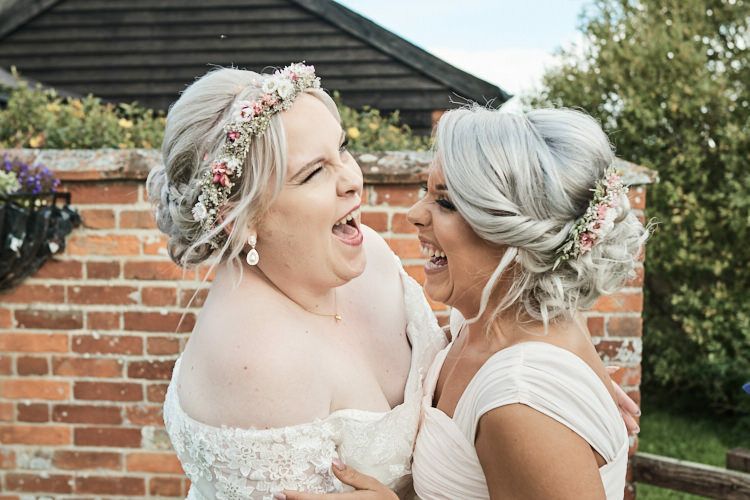 Nikkala has done such an amazing job at capturing the real emotions on the day of our wedding. To the fun part! 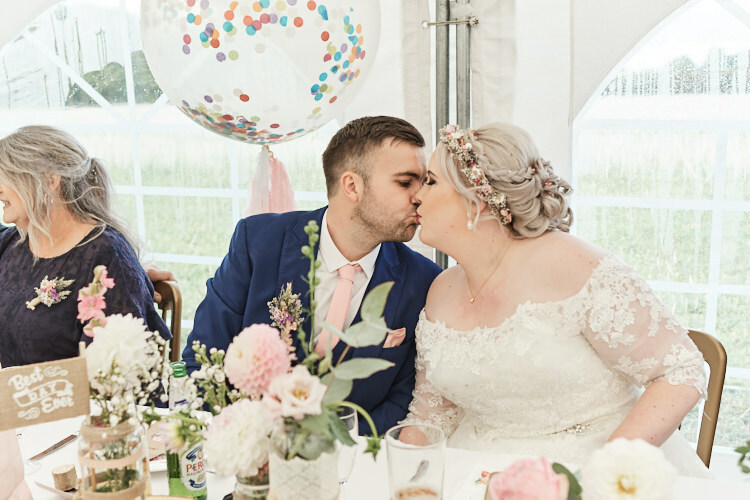 We had so many elements which we found on Pinterest as you do… At first it all seemed overwhelming to try and figure out how we were going to create the details and décor until we met Louise at Lou Lou Loves vintage hire. 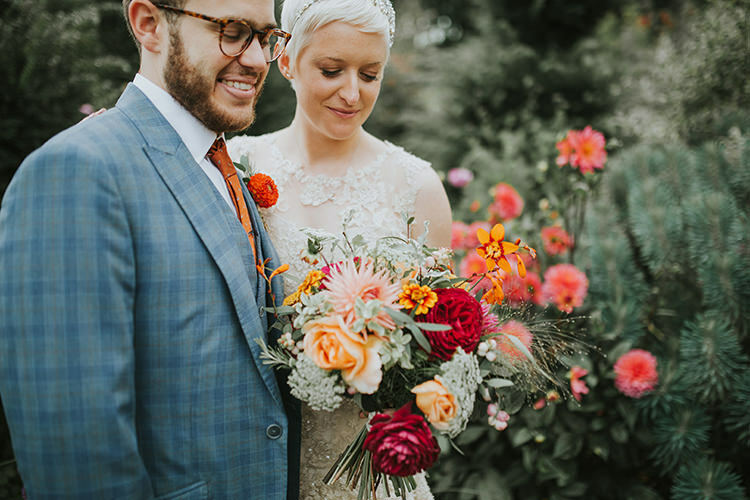 Lou is based in Norfolk near Norwich and her house is like an Aladdin’s cave of wedding decor, it was like stepping into a dream! 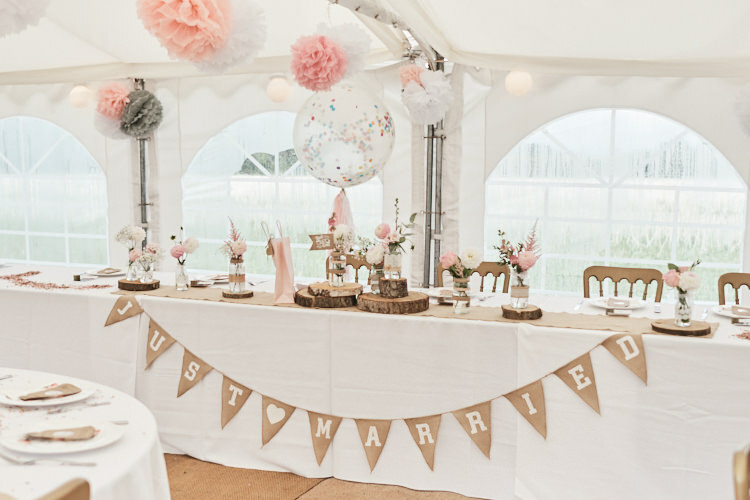 We started off explaining the theme and venue and Lou knew straight away what we were after, we compiled a list of hire items and how they could be used on the day. 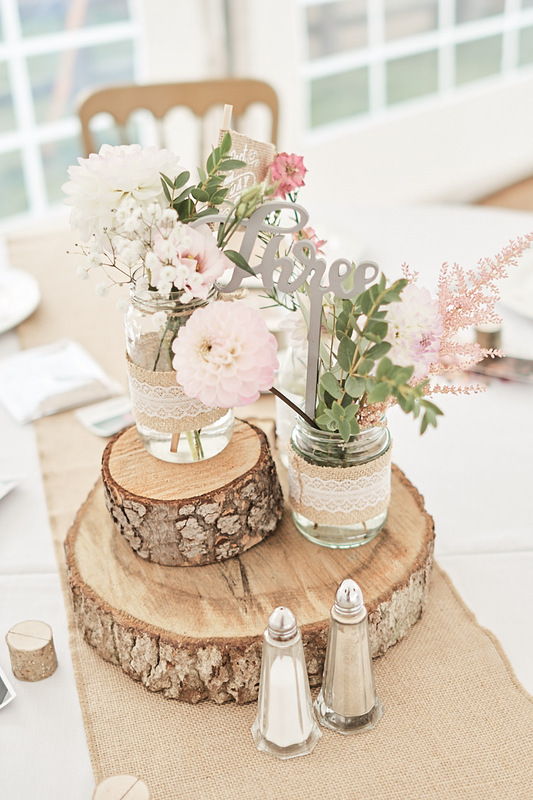 Pretty much all of the beautiful wedding props you see from the photos from the gardens games to the wooden tables slices were all hire items. Lou also can help set up which was a massive help as Lou is so good at styling venues. 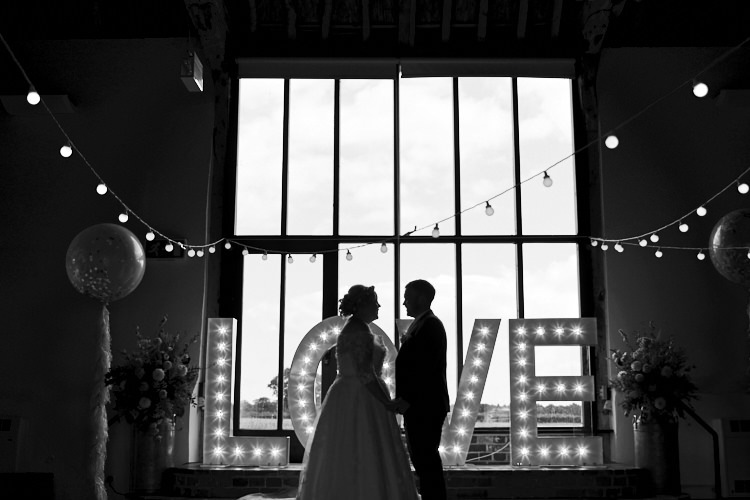 We also had the amazing Sam Race of Sam Race Decoration Hire supply festoon lights for the inside of the barn which really finished the barn styling off nicely. 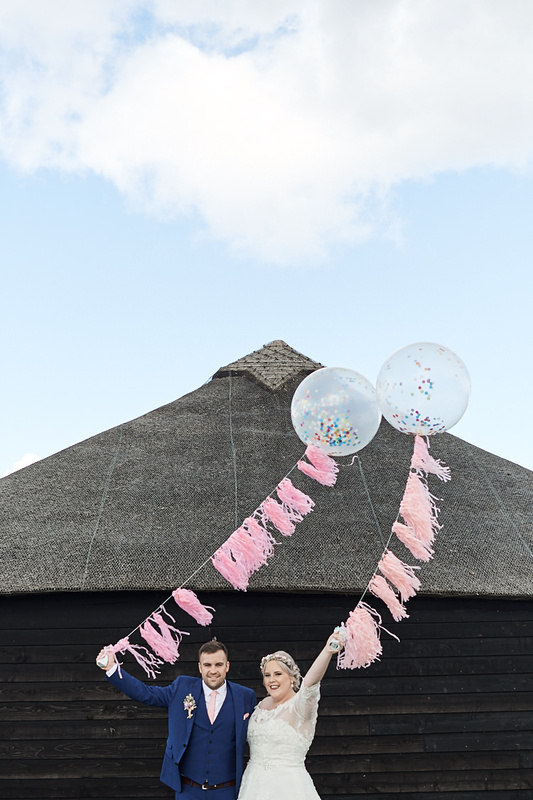 Sam also supplied us with six oversized balloons filled with confetti; we then made tassel strings to go on them. For the catering we knew we wanted something that reflected us as a couple and Tom is a massive BBQ fan so that was a no brainer. 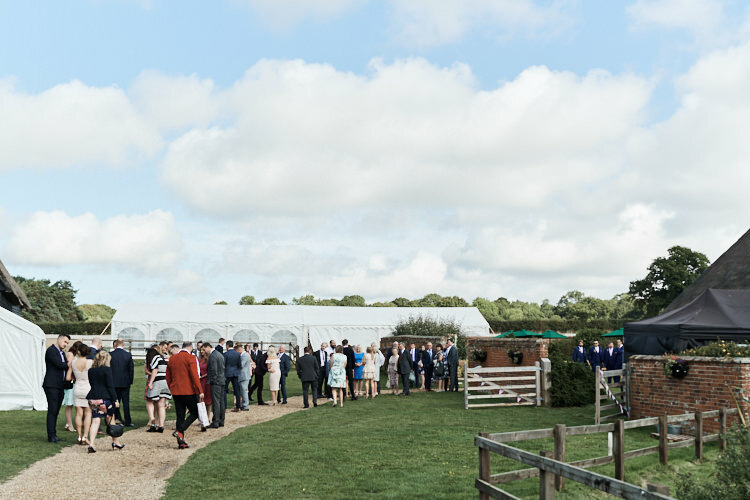 We came across a local company called Broadland Bars and they were able to supply us with a rustic bar and a sit down BBQ which was served on wooden boards to tables and an AMAZING hog roast and Paella in the evening. We were also very keen to have bottles of beers in beer baths and bottles of Prosecco for the toasts. 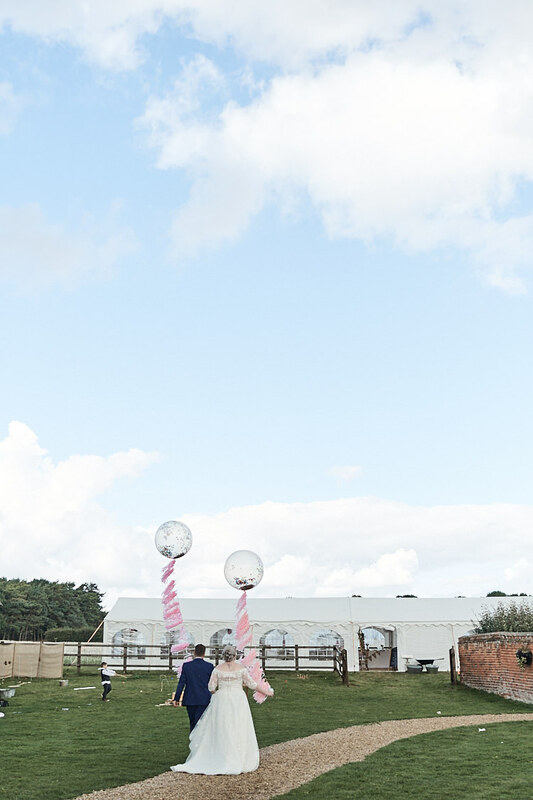 Because we could bring caterers in we saved a lot of money and we were able to have other bits for our day. 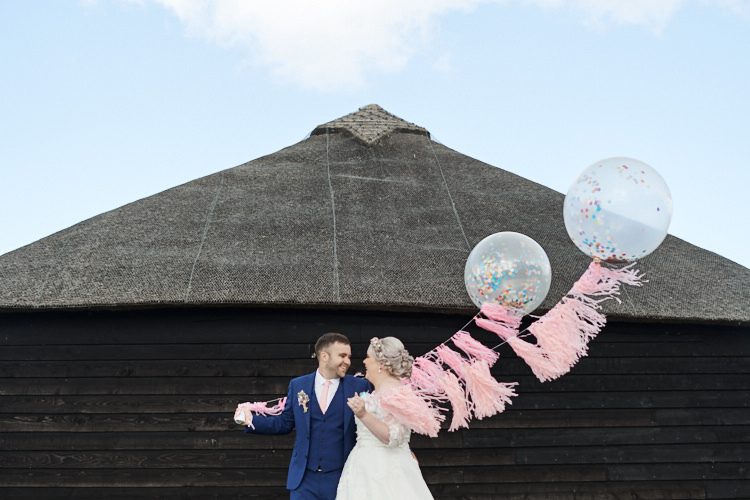 We made up tonnes of pom pom decorations for the marquee and in hindsight I think I would have made more up and add more tassel garlands around but none the less I am pleased we made them up and added our own little personal touches. 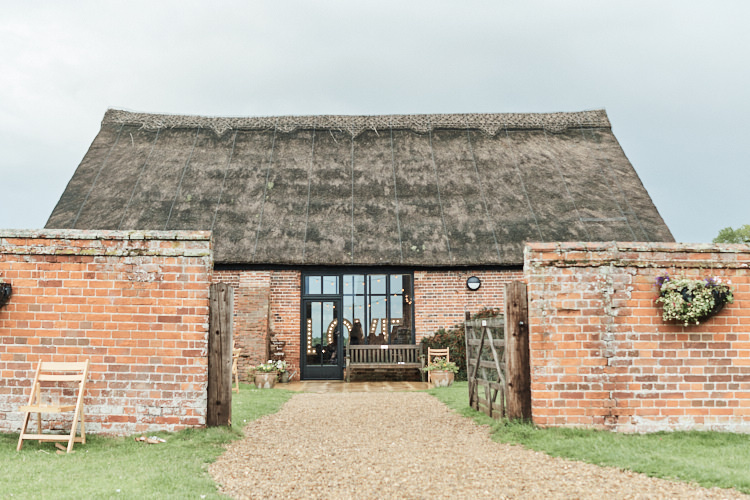 We had a little mini moon the week after the wedding and we went up to North Norfolk and stayed at the Dial House which is a quirky boutique hotel, amazing food and relaxing surroundings. We went to Mauritius in the December and had 10 nights in the most amazing boutique hotel right on the beach, my heart hurts a little when I think of leaving this amazing Island. The culture, food and people were amazing highly recommend. Our best memories were swimming with wild dolphins in the sea and the amazing views over Paradise Island. 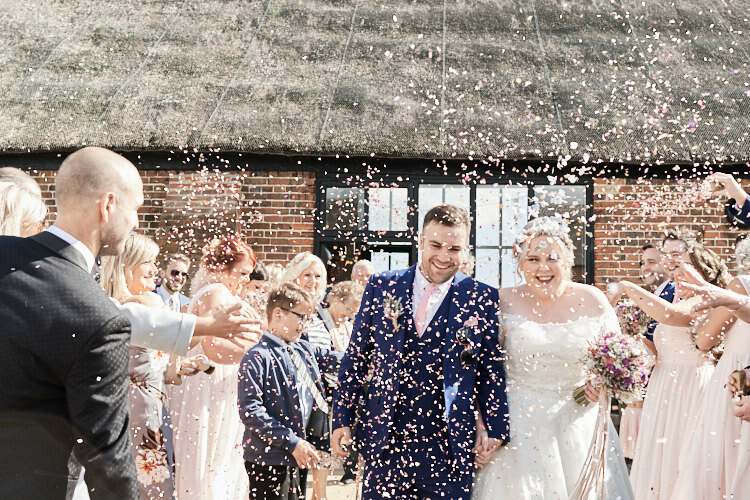 One of the most memorable moments of our wedding day was walking towards Tom in the barn and I didn’t see anyone else around me apart from him, it was the most incredible moment of my life. 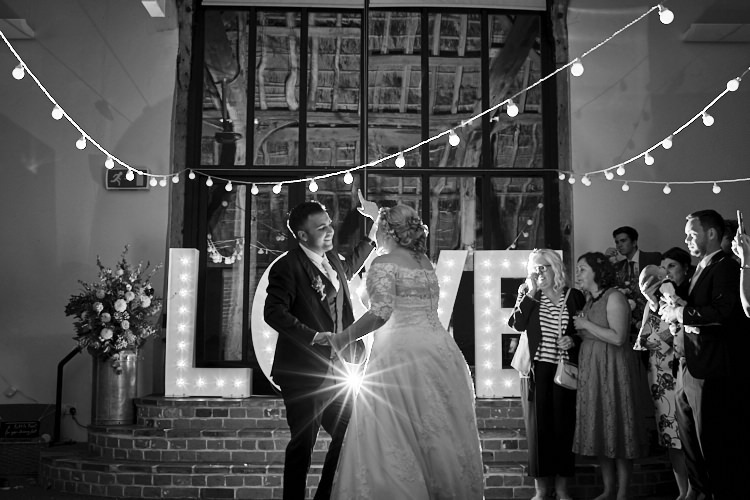 I also will never forget just after our first dance. 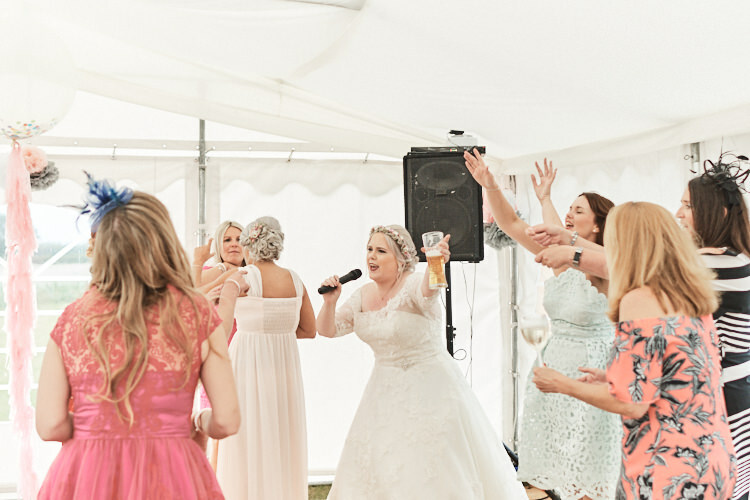 We wanted Mr Brightside by the Killers to play and everyone was up and dancing with us going crazy; it really started the evening off with a bang! 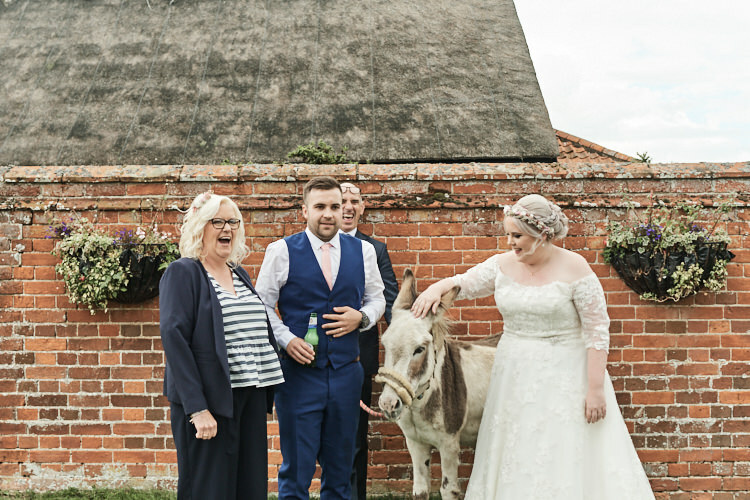 We were surprised with a donkey… yes you heard right a donkey! 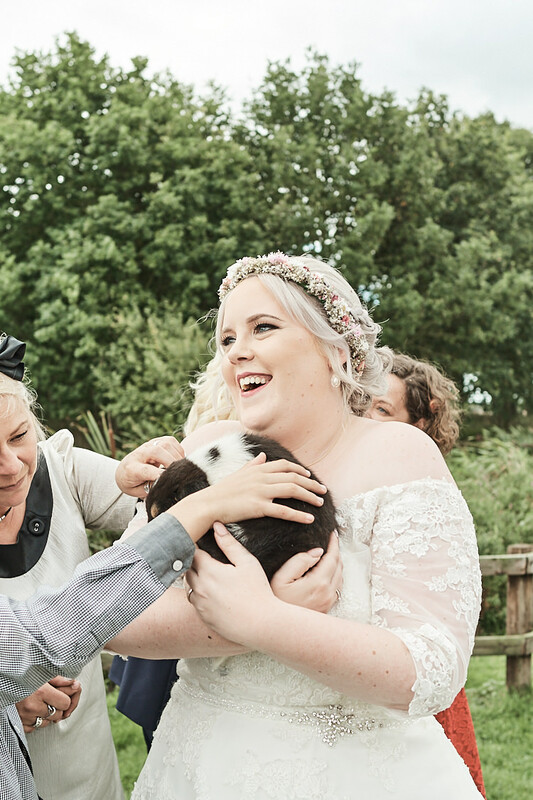 My mum had asked if we were having a donkey at our wedding as she loves them (weird I know) and my lovely boss’s husband knew the farmer who had a donkey in their field just up the road and they bought ‘Bubbles’ the donkey down along with their puppies. It was so random but so funny! 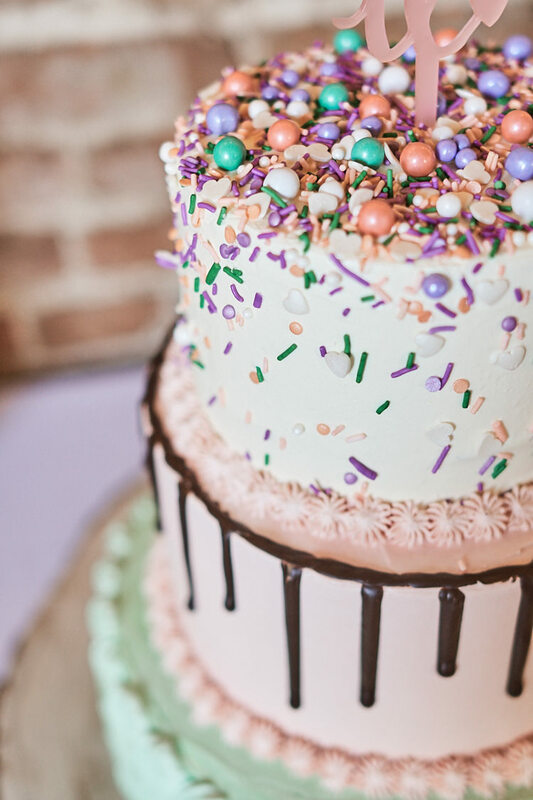 Have a realistic view on what you consider is important on your special day, do you really need a chocolate fountain, a popcorn machine and a candy cart? 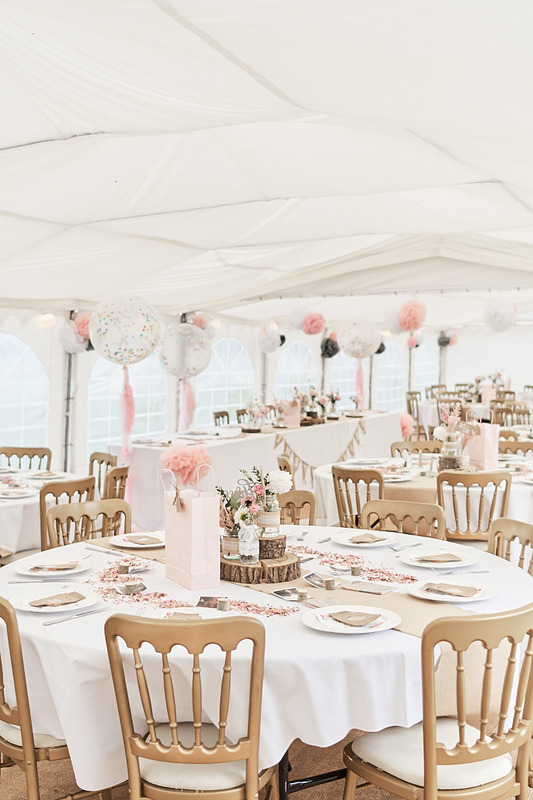 I think it’s easy to get swept away with all of the fun details but if you want to cut costs look at hiring a wedding venue and bringing in caterers for food and drink. Search for suppliers via websites such as WWW and Instagram, suppliers often run competitions on Instagram. 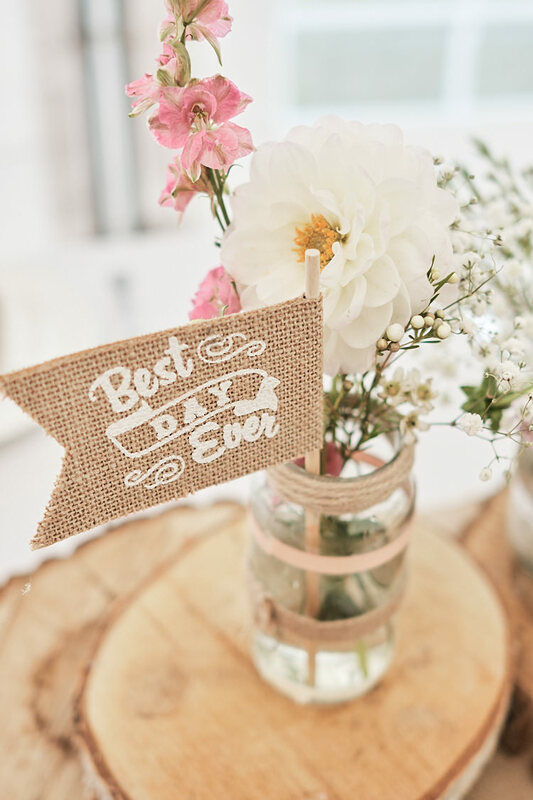 Most importantly have fun, do what you want as a couple; the wedding planning process goes so quickly and the day itself really whizzes by in a heartbeat. 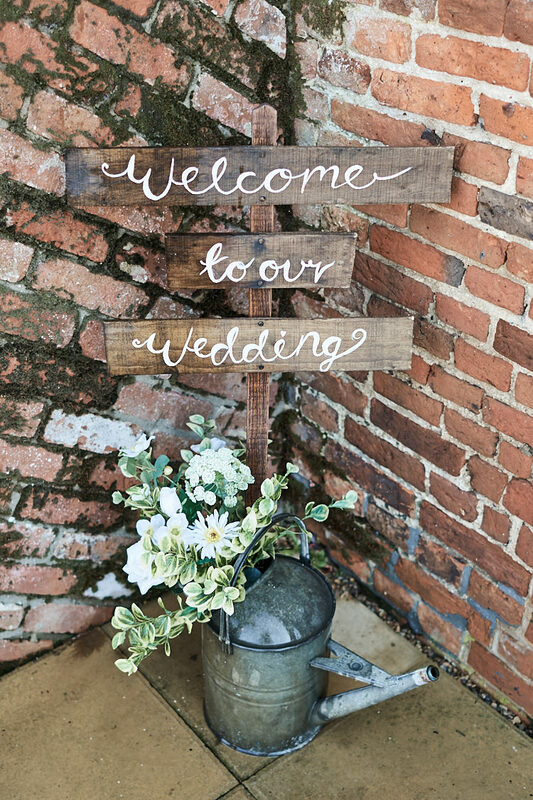 I always admire barn weddings! 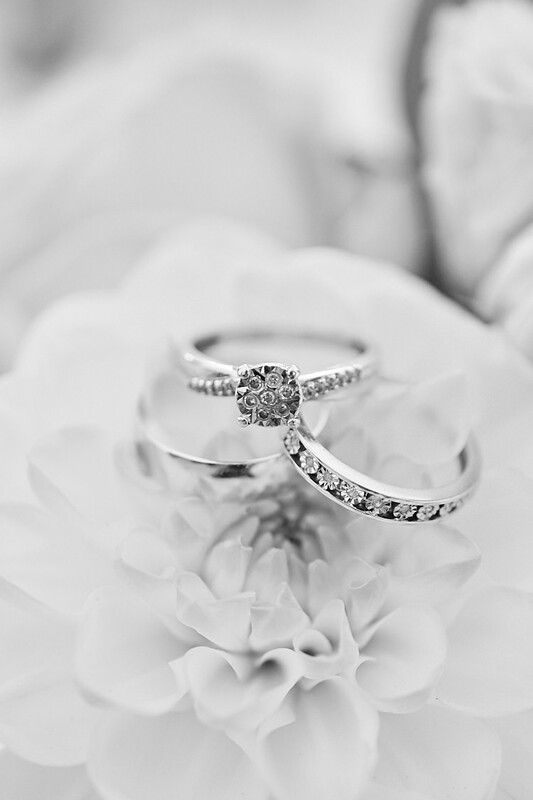 This wedding is beautiful, and the images are perfection!! Love this! 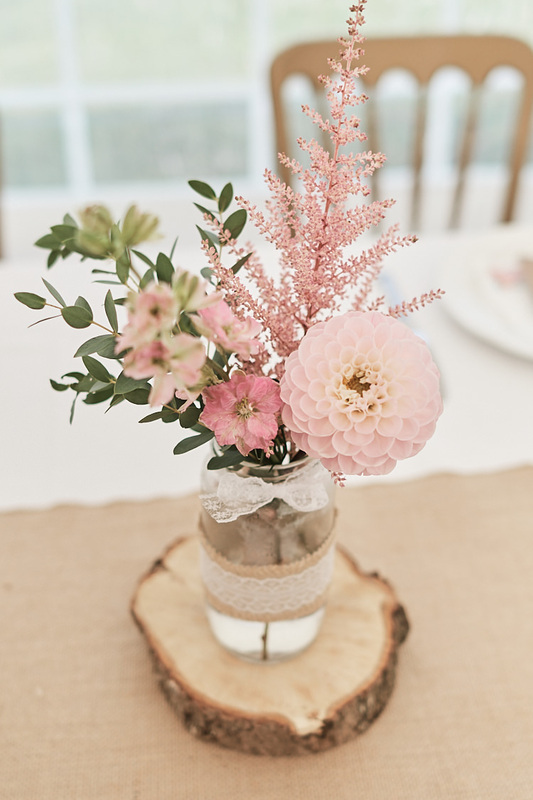 Where did you get the little signs sitting in your table flower. ?